Want to know how to reset Fitbit Charge 2, Alta HR, Surge, and Blaze as well as how to reset Fitbit to factory settings? Just keep reading and I’ll show you. Fitbit is a technological device developed by the American based company, Fitbit formally known as Healthy Metrics Research. This device is a wireless activity tracker that is worn on the wrist. 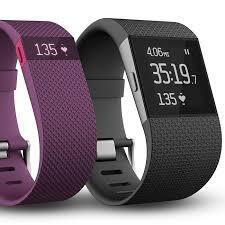 Fitbit as a fitness app monitors your weight, eating habit, and sleeping pattern. You can tell if you are gaining or losing a few pounds by looking at its data trend provided on Fitbit's website and mobile app; data such as calories burned and consumed. You can hardly tell if you've gained or lost a few pounds from your appearance, but the Fitbit's data no matter how insignificant it is can be very helpful in encouraging you in your quest to gain or lose a few pounds. The device also uses metrics like the amount of sleep you're getting, the number of steps and distance walked, and your heart rate to determine your level of fitness. It is having your own personal doctor during the day and at night. These variants of Fitbit support the Fitbit app for Android, iOS, and Windows operating system to allow transfer of data from the device via Bluetooth. Not limited to only smartphones, there is also syncing of Fitbit data to Windows and Mac OS X Computers. The mobile app comes with a community page where users can share their progress, compete with other members, and be encouraged by people with the same interest. If this is not great motivation, I wonder what is? So, how do you reset a Fitbit for a new user, reset the time on a Fitbit, and reset Fitbit blaze to factory settings? Solutions for each of these have been outlined below. 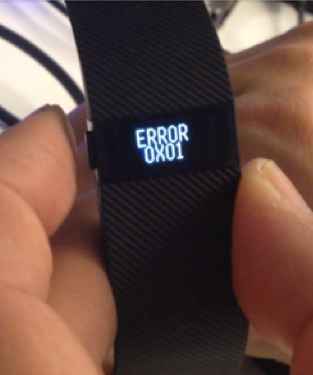 Knowing when you should reset Fitbit can help optimize the device for better performance. A soft reset, restart, or reboot will only turn on and off Fitbit Charge HR and the other variants and also delete their notification. Fitbit is not tracking activities. Fitbit Charge 2 won't turn on. Fitbit Charge HR is not syncing. Fitbit is not responding to button presses and swipes. Is any of these similar to what you're facing? Then let’s get things underway. Charge the Fitbit Charger 2 with its USB cable. Press the side button for about 4 seconds. Release the button when the Logo comes up. Plug your Fitbit Alta to its USB cable and charge. Press the button at the cable's rear thrice in succession within 8 seconds. Charge the device using its USB cable. Hold down the side button for about 10 seconds. Release the button when the device restarts showing the Icon and a version number displayed. Inserting a paperclip into the device's rear pinhole. Pressing the button for about 4 seconds. Pressing the button thrice in succession till the device resets. Hold the Back and Select keys at the same time for 10 seconds. Release either button when the Fitbit logo surfaces. Now, that couldn’t be easier. Charging the device with its USB. Pressing the device's button for about 10 seconds. Finally, releasing the button when the device boots. Holding down the Home and Select buttons at the same time. Releasing the button when the screen dims. After 10 seconds, replace the battery and reboot the device. 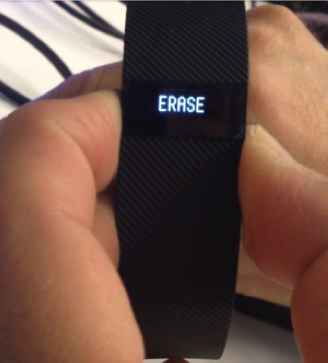 These are the tips for resetting a Fitbit tracker. The difference between a Fitbit Reboot or Soft reset and Fitbit reset to factory settings is that the former only restarts the device while the latter deletes all the data (activity, alarms, goals, notifications, etc.) it contains. A factory reset is required to troubleshoot the device in a bid to find and fix errors. Fitbit Charge HR is stuck on an update. iOS, Android, and Windows 10 Mobile can't detect Fitbit Charge or Charge HR. Windows or Mac OS X Computer can't detect Fitbit Charge. The tracker can't sync to Android or iOS phones. Are you ready to reset your Fitbit Charger or Charge HR device with the fact that you may lose all your data in mind? Then, I’ll walk you through the whole process. Sync your Charge or Charge HR to your phone or computer to backup your data. Plug the device into its USB cable to charge. Hold down the side button and while still pressing it, unplug the cable after 2 seconds. Release the button after an additional 10 seconds. On release, press the button and you'll be presented with an ALT screen. and several other screens. When the screen 'VIBE' comes up, click on the side button. Click on the button again to access the 'Error 0X01' screen. Next, press the button to advance to the 'Erase' screen and then release the button when the process is completed. You can confirm it your Charger HR has reset successfully if you are presented with setup steps and your timer is set to 0:00. A factory reset is possible only on the aforementioned device hence it makes questions like how do I reset my Fitbit Blaze to factory settings left unanswered. You can unlink the device from your Fitbit account and add it to another account. On pairing on the new account, the data will be deleted. How Do You Reset the Time on a Fitbit? One more tip you may find very useful is the ability to change the timezone on a Fitbit App. So, how do you reset the time on a Fitbit? If you're using the app on an Android, iOS, or Windows phone, launch it. From the app's home screen, select 'Advanced Settings'. Turn off the Automatic Time Zone mode. Navigate to 'Select Time Zone'. Finally, Sync your Fitbit device to your phone via Bluetooth to update the changes. Take the next step by implementing it. Following the simple steps on how to Reset Fitbit Charge 2 and other Fitbit devices, you should get yours working as expected.